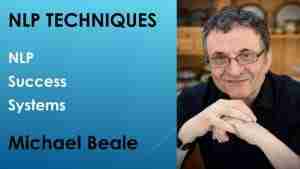 Watch this short video from Michael Beale in which he explains his own 8 element success system. It’s best to develop a system that is personal to you – what elements do you need to feel more successful and fulfilled? Pick oneself up quickly and easily when we fall over. Take the learning and let go of the emotion. Take emotional pain as a signal that we’ve something important to learn. Realise that solving problems is one of the most important life skills and that we only get better with practice, so thank the universe when we get challenging problems to solve. Have a purpose. Something we want to achieve for ourselves, and something we want to achieve for the greater good, ie something that’s bigger than we are. Have a direction and vision. Where are we trying to get to? What will we see, hear and feel when we get there? Who do we need to involve? Have a plan. To me a plan has a number of key elements a) some milestones or steps between where we are now and where we want to get to b) Some focus areas, so we know what activities we need to focus on now to move forward c) Some development areas, skills and capabilities that we’ll improve, which in turn will make the journey faster and more enjoyable. d) Know how to to manage and build our resources – knowing how to use our time and energy effectively and efficiently on a daily basis. e) Prioritise. Decide our nominal key priorities for today, the next week, the next month and next year. f) Set some measurable, key performance indicators. Take action. It’s only the action we take that impacts the world. Review progress. a) Set daily priorities and review progress at the end of the day b) Review how we’re doing against our milestones and key performance indicators c) Check in with our key stakeholders and ask for feedback and feedforward. d) Celebrate any success and learn from any apparent failure. Treat both as a source of information and learning. Review steps 1-5, a) what do we want to start doing/do more of? b) what do we want to keep doing? c) What have we avoided, that we’re now going to commit to do? d) What are we going to stop doing? The success model can be reviewed as you progress. Test it by seeing if you feel happy and are getting the results that you expect. If you are not – that’s ok, the success system just needs developing as you work out what works. It can be useful to review our internal and external resources as part of this process a) our emotional states b) our beliefs, c) our values d) our strategies and capabilities e) our network. GROW. Clarifying each element helps us move forward (Not always as easy as it sounds). 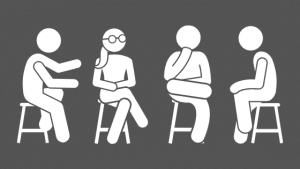 Next we look at our NLP Coaching Model.